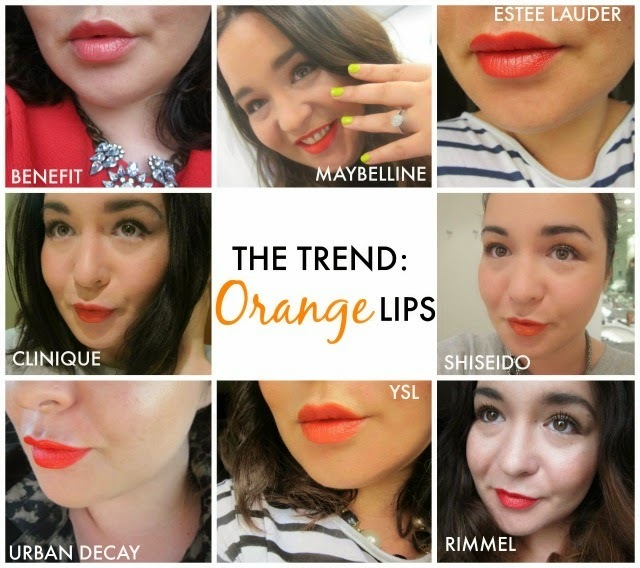 The orange lip is a major trend this summer: fresh and juicy, it looks especially punchy with a tan. From soft, pinky corals to the most vibrant tangerines, there's a shade out there for all skintones and budgets - here are eight I would really recommend. The combination of Benefit's Cha Cha Balm layered over Cha Cha Tint gives a sheer and wearable pinky-orange sheen that's universally flattering. Read all about it. As easy on the pocket as it is on the eye, Maybelline’s Color Sensational Vivids Lipstick in Electric Orange is a bright, true orange with a satiny sheen (I'm wearing it at the Tatler event here). Estee Lauder’s Pure Colour Vivid Shine lipstick in Coral Halo (featured here) is shot through with gold and silver pearl, giving it a lustre that's so pretty in the sun. This Shiseido lovely is a new favourite: the hint of shimmer gives a luminosity to the true-orange shade. Another purse-friendly option, Rimmel’s Moisture Renew Lipstick - In Love With Ginger is a shiny red-orange in a lovely moisturising formula - check out this post for more. YSL's Babydoll Kiss and Blush in 04, Orange Fougeux, is another soft, wearable way to wear the trend. This velvety matte cream works well on lips and cheeks - check out my Frillseeker review. Urban Decay's Bang is a richly pigmented, full coverage red-orange that completely lives up to its name. Read my review here - there's also a lipliner to match. Clinique'sMatt Mandarin is a delight: this velvety, modern matte finish still has a touch of sheen and the shade is modern and fresh. Check out my full review. See my take on the matte red lip here.